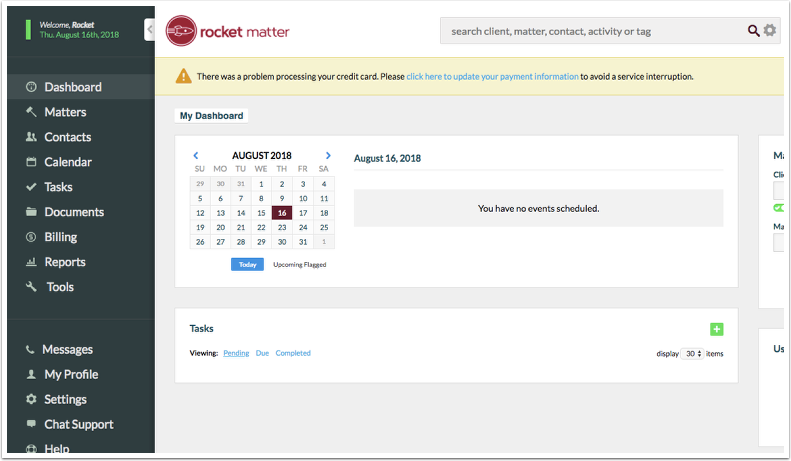 How do I update my credit card information with Rocket Matter? Rocket Matter Knowledge Base SettingsHow to update my payment information for my Rocket Matter account. 1. Click 'Settings' in the left-hand navigation panel. Don't see Settings in the left-hand navigation panel? Please contact your account administrator. 2. 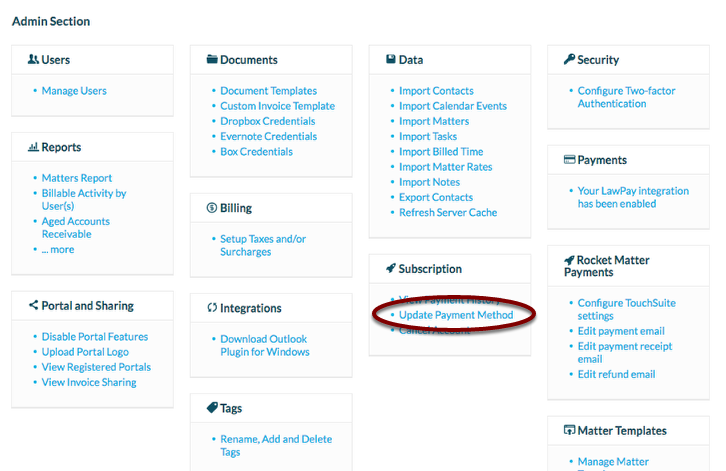 Select "Update Payment Method". 3. 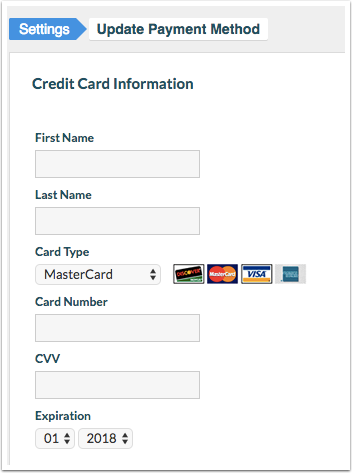 Enter the updated credit card information. Rocket Matter's billing system runs automatically every evening at approximately midnight. If you have updated your payment information, the charges will be applied that evening. If the payment was successful, the yellow payment failure banner will be removed. 4. Save these changes by clicking 'Save' in the bottom-right of the page. Prev: How to add a new user. Next: How to view your Rocket Matter Payment History.